When it comes to business planning and measuring performance, real estate brokers often focus most of their effort on developing the sales side of their businesses. Revenue growth, albeit a very important metric, is only one indicator of overall business performance. There are other key metrics that should be tracked ongoing to effectively inform business strategy and be set up for long-term success. For some, this can be an overwhelming process as they are unsure what to track and how. 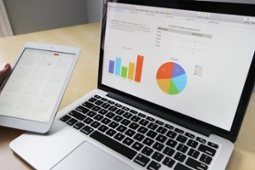 At The Profit Centre, we help our customers understand the value and importance of tracking 8 key metrics. 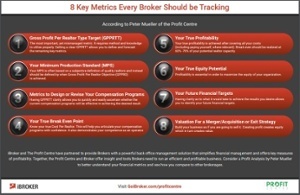 These are the 8 key metrics every broker should be tracking to make effective business decisions. Click the preview image below to download the Infographic. For more information on how to effectively track these financial and operational metrics, please call Peter Mueller at 1-877-509-2330.